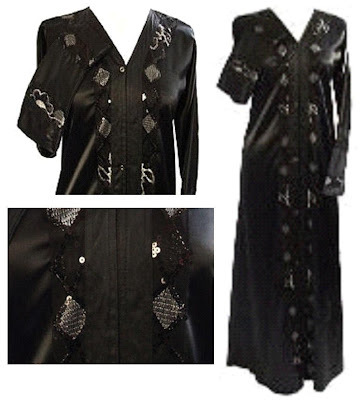 This beautiful satin Paris Abaya (£35, Amirah Fashions) is a great alternative to the shirtdress I posted in the Silver Sparkle outfit, and you can keep the shoes and accessories the same. Sorry about bad pic quality! I'm not sure about a satin abaya, I'd worry people thought I was wearing pyjamas. Lol, that's true if the fabric is flimsy, and the colours are light. But if it's thicker and in black - they look AMAZING!